TELL US A BIT ABOUT ANCHOR END – WHAT ARE YOU GUYS ALL ABOUT? 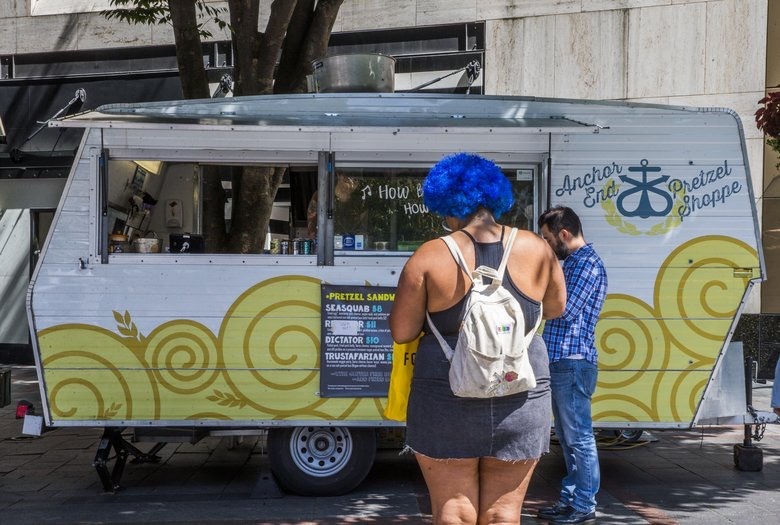 Anchor End has always focused on being a ‘start to finish’ operation revolving around house made pretzel bread and everything that goes inbetween. We also source local products and try to stay as seasonal as we can. We opened in October 2015 with two twin sisters and a converted 1969 Shasta trailer that we barely knew how to drive. We love being at Ridgecrest Public House in Shoreline every Monday night. Like all of our locations, we get to see a lot of the same people every week, but Ridgecrest has a strong neighborhood and community feel that we really enjoy. We serve in a corporate atmosphere for most lunches, so it’s a nice change of scenery. 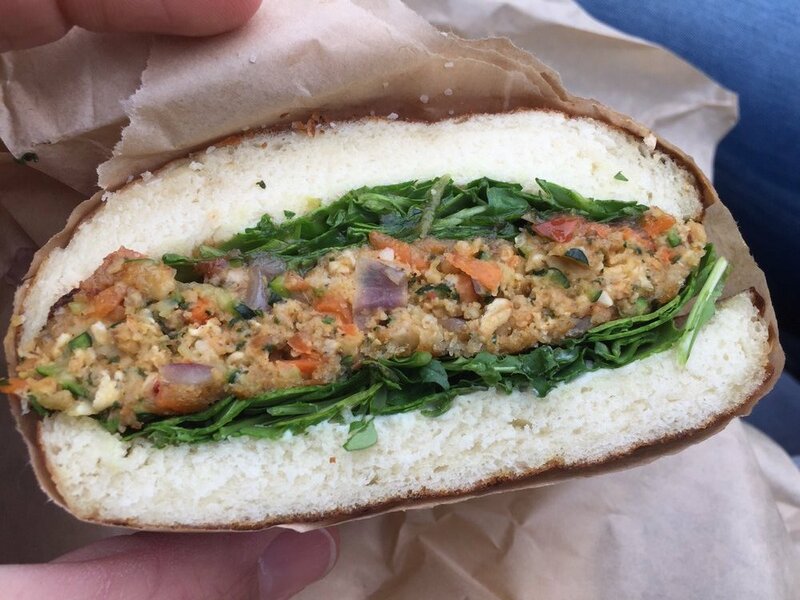 We only have four sandwiches on our menu, so they all sell pretty equally, but the Dictator pretzel sandwich always gets the most attention. 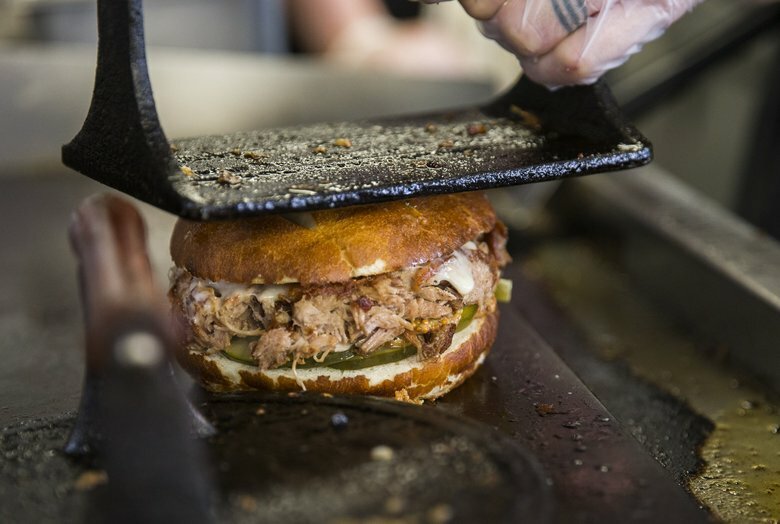 Pulled pork, fried pork belly, Swiss cheese, house pickled jalapenos, Seattle Pickle Co. dills and stone ground mustard on our cinnamon sugar pretzel. A lot of people need an explanation of the cinnamon sugar. I think the biggest struggle at first is to get your name out there and hope that your food catches on, but hard work and passion will get you that eventually. It’s an uphill battle with taxes, city regulations, King County law, insurance, and owning a small business in general. 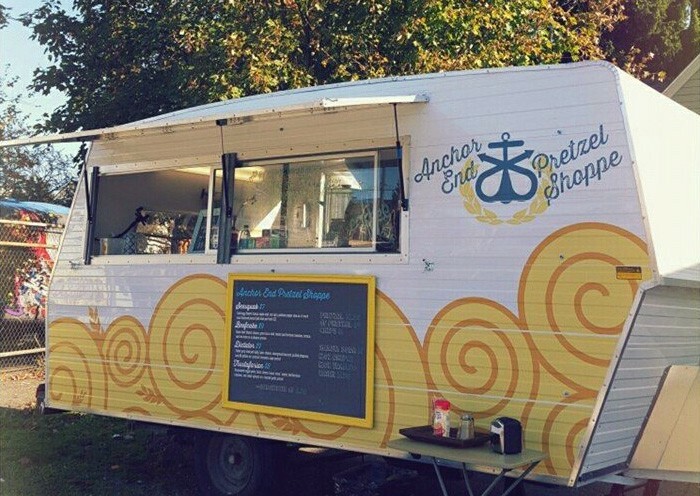 If you want to open a food truck, it better be something that you’re passionate about. If you’re doing it for different reasons, the constant roadblocks will be enough to shut you down. Be in love with your idea, and make sure it can withstand time. Also, you should network. 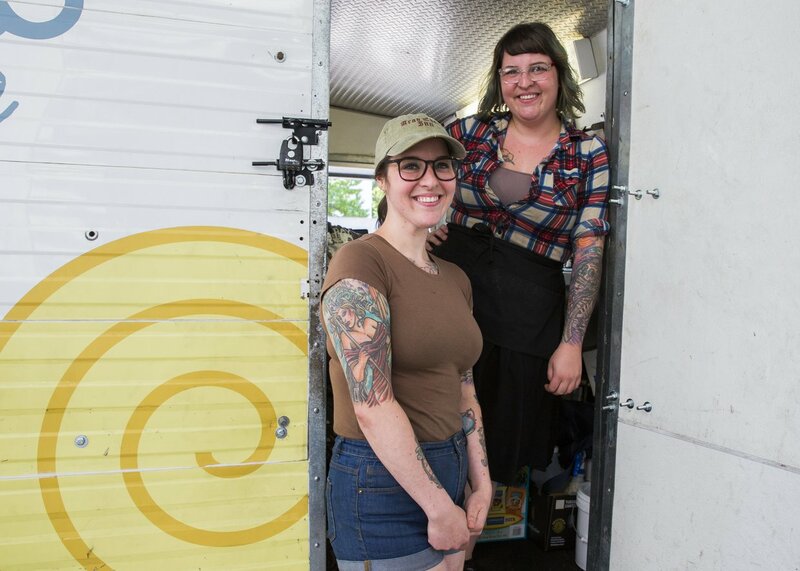 Talk to other food truck owners. WHAT’S NEXT FOR ANCHOR END? We’re opening a bakery in Shoreline hopefully by the Spring. We’ll finally get to take wholesale orders, and soon after that we’ll open a retail counter. The food trailer will still be around! What a loaded question. Probably Rick Bayless, Gabrielle Hamilton, Oprah, and David Bowie.